> The concept of “sustainability” comes from forestry and originally meant something like: using natural resources mindfully so that the supply never runs out. Today, however, the concept is ill-defined; firstly because there are various theories of sustainability and secondly because the word has passed into inflationary use. For that reason scientists now debate what is actually meant by “sustainability” and seek to formulate concrete guidelines for sustainable living and economic activity. Nowadays the concept of “sustainability” is a staple of any public debate and is used in an inflationary way. Playing on the positive connotations of the word “sustainability” – much like “peace”, “justice” and “conservation” – people tend to use it in every possible context. Industry talks about “sustainable production” and financial services providers offer “sustainable performance”. Consumers are urged to “eat and drink sustainably”; music classes support “sustainable child development” and even a warm-water bathing day for senior citizens at a public pool is advertised as “sustainable”. Everybody understands “sustainability” to mean something slightly different. 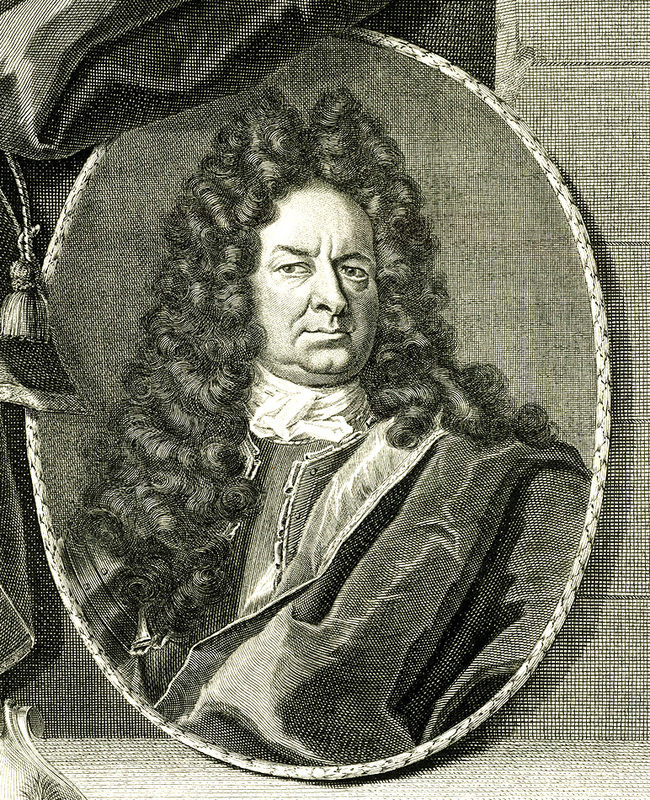 1.1 > The concept of “sustainable” silviculture was introduced in 1713 by the Saxonian chief mining official Hans Carl von Carlowitz in his treatise Sylvicultura oeconomica, in which he advocated prudent management of forest resources. The concept tends to be more confusing than clarifying. Depending on the given definition, project or context it takes on a different meaning. But the current inflationary use of the term is not solely to blame for this baffling ambiguity; the fact is, the concept is indeed a blend of different factors. Sustainability is a complex matter. Economic development models, the world food supply, nature conservation, poverty reduction or distributive justice – all these aspects play a part in the sustainability debate. Looking back into the past, however, it is evident that the individual themes were often considered in isolation from one another and studied separately. Depending on the historical situation, certain questions took precedence, and others were put on hold until they in turn had become urgent. Experts today endeavour to frame plausible theories and models in order to enhance the understanding of all the elements that comprise sustainability. The main challenge for the future is to put the broadly accepted insights of sustainability theorists into practice in concrete societal, political or economic models. The expression “sustainable” or “sustainability” came into use in German silvicultural theory in the 18th century. 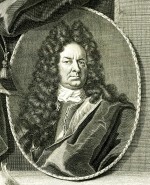 Back in 1713 the chief mining official Hans Carl von Carlowitz, from Freiberg in what was then the Principality of Saxony, published the forestry treatise Sylvicultura oeconomica, in which the principle of “continuously enduring and sustainable use” was discussed for the first time. Von Carlowitz coined the term at a time when many parts of Europe were in need of vast quantities of wood for mining and ore-smelting. Gradually the environs of many mining towns were becoming deforested. Wood shortages were an imminent threat. Even at the start of the 18th century, wood was having to be shipped from far away by river. Von Carlowitz warned that, without wood, people would “suffer great hardship”. In his Sylvicultura oeconomica he called for the forests to be conserved. People, he wrote, should save wood, conserve forests by sowing and planting trees, and seek “surrogata” or alternatives to wood. All in all, people should only harvest as much wood as could regrow. 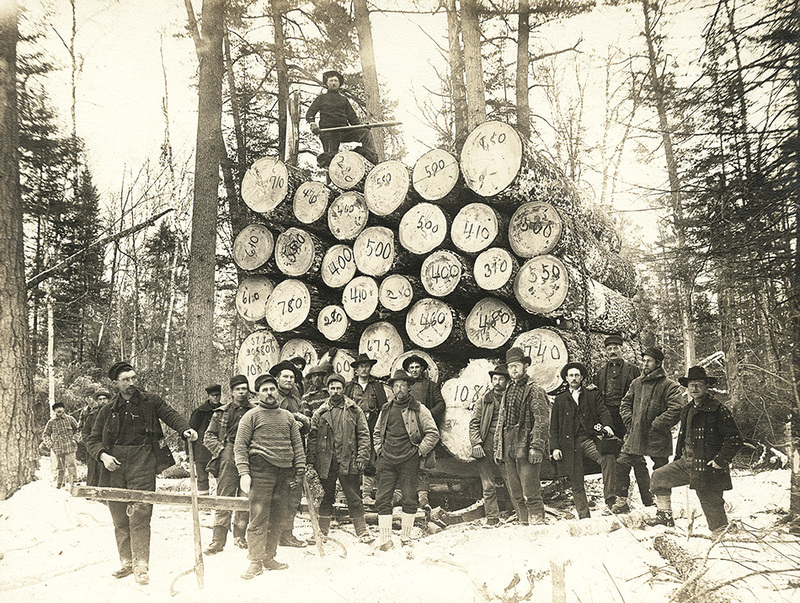 The aim of forest management was to achieve the ­greatest possible wood harvest sustainably – in other words, consistently over time – without overexploiting the forest. Thus, 300 years ago, von Carlowitz was voicing demands which are still crucial to the current sustainability debate. Then, however, the focus was on economic considerations rather than nature and forest conservation per se. That was equally apparent from the composition of the forests, and what was considered sustainable at the time: they tended to be monocultures of tree species of interest to the wood industry rather than near-natural forests. ­Since the concept of sustainability was originally clearly and narrowly defined, it provided a basis for deriving ­binding rules. For every tree species, prescribed felling rates were defined, i.e. annual maximum quantities of wood that were permissible to cut in a section of forest. Not just in Germany but throughout Europe, scholars in the eighteenth century were getting to grips with the finite nature of natural resources, although in this context – unlike in the work of von Carlowitz – there was no discussion of sustainability. An important aspect was how to supply foodstuffs to the growing population. Today it is estimated that the population of Europe as a whole grew from 140 million to 266 million between 1750 and 1850. In England alone, the number of inhabitants swelled from around 7 to 20 million people during the same period. 1.2 > Silviculturists in the state of Minnesota, USA at the end of the 19th century. Wood was in particular demand as a raw material at the time, and vast quantities of it were required for housebuilding in the growing towns. The British economist Thomas Robert Malthus warned that food production would not be able to keep pace with population growth in future. And if the plight of the poor improved, he wrote, this would lead to further population growth – and hence to a food crisis. Ultimately, the result would be a worsening of overall poverty. One solution, Malthus and others seemed to think, would be to maintain the population figure at a constant level. A few years earlier, scholars like the North German lawyer, Justus Möser, had already argued against smallpox vaccination on population policy grounds. The vaccination, Möser warned, would reduce child mortality so greatly that “the world would become too small for all the pro­geny of mankind”. The doom-laden fears of scholars like Malthus and Möser did not come to pass. Before population growth in Europe could lead to a large-scale food shortage, the problem was solved by a natural scientist: in the mid-19th century, the German chemist Justus Liebig devel­oped artificial fertilizer, paving the way for a huge in­crease in the productivity of arable farmland. Just as his precursor von Carlowitz did for forestry, Liebig strove to achieve ­persistently high yields in agriculture whilst endeavouring not to deplete soil fertility. 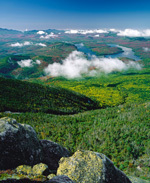 1.3 > Back in 1892 the richly forested Adirondack Park in New York State was designated a National Park by the US authorities. With an area of 24 000 km2 it is almost as large as the island of Sicily. Thanks to Liebig’s invention, the kind of food shortage that Malthus had prophesied for the future never came to pass. On the contrary, the topic that captured the atten­tion of thinkers and scientists was degradation of the natural environment because, in the late eighteenth and the first half of the nineteenth centuries, Europe was overtaken by the Industrial Revolution: the slow and deep-seated transformation of an agricultural into an industrial society. The world was radically transformed by coal mining, metal smelting, the growth of towns and the construction of barrage dams, highways and railways. One who criticized the devastating impacts of this industrial growth was the US statesman and scholar George Perkins Marsh, who toured Europe in the 1850s and was ambassador at the Italian court in Rome between 1861 and 1882. In many of the locations he visited, he observed how humans were changing and to some extent destroying nature. In 1874 he published his most important work, Man and Nature: The Earth as Modified by Human Action, in which he described his observations. Marsh’s ideal was the village community which conserves nature in the long term and uses its resources mindfully. He warned that humans were in the process of rendering the Earth, the home of humankind, unfit for habitation. People needed to protect nature out of “enlightened self-interest”, he argued. 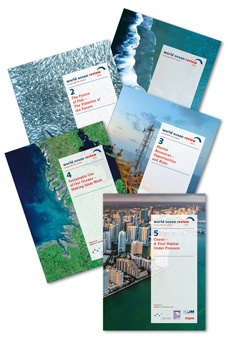 But Marsh also emphasized that it was possible to use natural resources rationally. 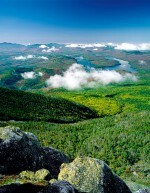 People have a right to use nature’s assets, he stated, but not to abuse them. 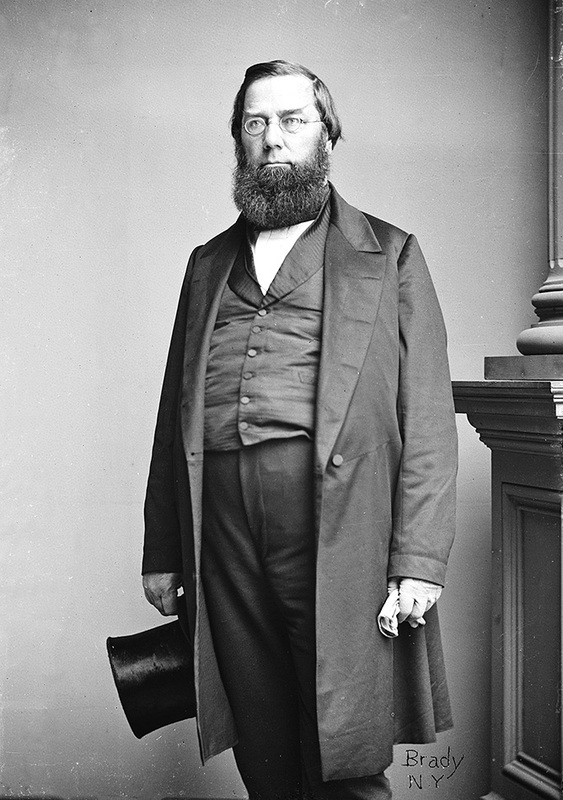 1.4 > The US scholar George Perkins Marsh is acknowledged as one of the forefathers of the environmental movement. In the mid-19th century on a tour of Europe he experienced how nature was being destroyed. His drastic descriptions of this overexploitation contributed to the introduction of sustainable forest management in the USA. Marsh’s theories and his drastic descriptions of environmental degradation in Europe had the most momentous impact in his country of birth, the USA. In order to prevent deforestation on a European scale, the decision was made to conserve forests. Initially, protection was given just to some areas in isolation. The year 1892, for example, – 10 years after Marsh’s death – saw the founding of the richly forested Adirondack Park in the state of New York. Covering an area of 24 000 km², this National Park, the largest in the USA today, is almost as large as the island of Sicily. At the beginning of the twentieth century, the authorities finally came round to safeguarding forests throughout the country from overexploitation. It was in 1905 that the United States Forest Service was founded, a forest authority whose first Chief was Gifford Pinchot. Pinchot, a forest scientist and politician, was inspired by Marsh’s teachings. He established sustainable forest use in the USA, just as had been advocated by von Carlowitz almost 200 years previously. Apart from a few positive examples, however, the idea of making prudent use of nature stubbornly failed to take off. For one thing, periods of severe deprivation during two World Wars led policymakers in Western industrialized countries to pursue one goal above all else in the mid-20th century: to generate prosperity for all and, through constant economic growth, to overcome absolute poverty and alleviate class disparities. Thus, the dualism of economic growth and sustainability was preordained. At the beginning of the 1960s, however, there was mounting criticism of this naïve faith in growth and progress. The damage caused by unchecked economic growth took on increasingly vast dimensions. Soils and rivers were being poisoned. Smog was forming in many urban centres from the emissions of cars, factories and power plants. Children in particular suffered from respiratory illnesses. Sulphur dioxide emissions from power plants and car engines led to the phenomenon of “acid rain”, which caused trees and entire swathes of forest to die off. Environmental conservationists talked about “forest death”. In the 1970s, the concept of “sustainability” then underwent a renaissance. It was now defined more broadly than before. Advocates of sustainability criticized the established economic models which insisted that economic growth was an ongoing necessity. In 1972 the Club of Rome published its highly respected study, The Limits to Growth, which mentioned a “sustainable global system” for the first time. In its report, the Club of Rome warned against the consequences of overexploitation. It developed a theory which stated that every phase of strong economic growth would inevitably be followed by a major collapse of the system. Resource scarcity and environmental pollution would turn into severe crises and reduce people to living in the most basic conditions well before the year 2100. 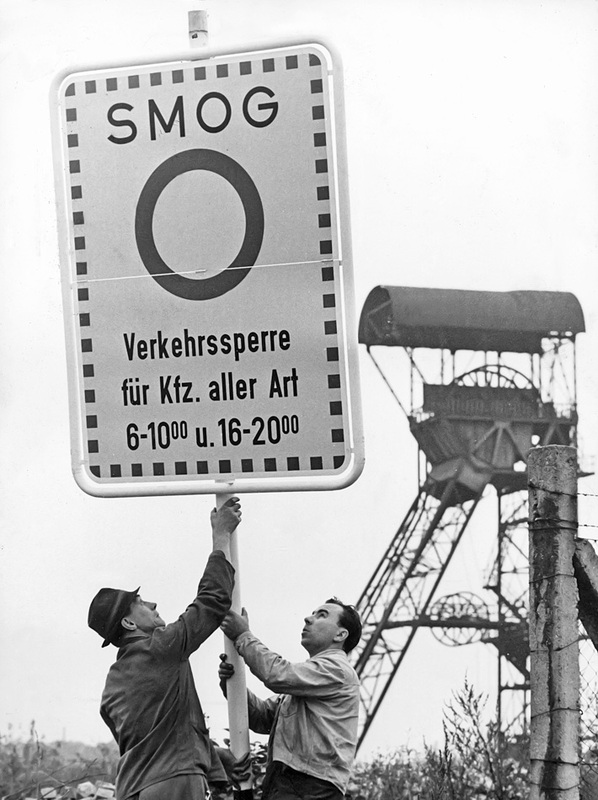 1.5 > In 1966 Essen was the first city in Germany to introduce driving prohibitions in order to reduce the pollution caused by smog. But only when power stations and industrial plants were fitted with emissions filters in the 1980s did air quality improve noticeably. Club of Rome The Club of Rome is an international non-governmental organization and expert body which was founded in 1968 by leading industrialists, engineers, business experts and academics in order to analyse the negative consequences of economic growth and to develop solutions.